The London Coffee Festival saw its record-breaking attendance this year. Over the 4-day event 16,209 visitors attended, that is 6,082 for the two trade days and 10,127 for the consumer sessions. EPE continually enjoy exhibiting at these shows, as it is a chance to enrich the coffee drinking industry and deliver compelling experiences. 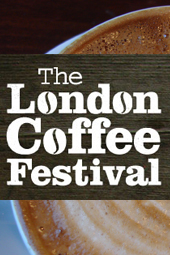 EPE are looking forward to exhibiting at next years London Coffee Festival!